Following Ragnar Klavan‘s £4.2 million move to Liverpool, the 30-year-old has been tipped to slot in comfortably at Anfield. The Estonian arrives to provide cover in Jurgen Klopp‘s centre-back ranks, with Mamadou Sakho and Joe Gomez suffering injuries during pre-season. Klavan will join Sakho, Gomez, Dejan Lovren and Joel Matip as one of Klopp’s senior defenders in 2016/17, after spending four seasons in the Bundesliga with Augsburg. 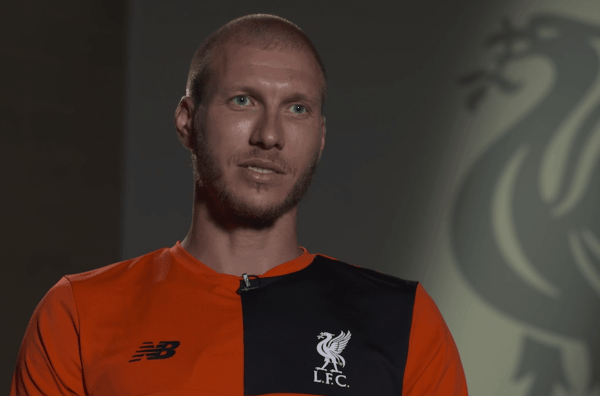 With Klavan something of an unknown to most on Merseyside, we spoke to Bundesliga expert and Liverpool supporter Dinesh Hardayal, WhoScored writer and graphic designer, to get his view on the Reds’ new centre-back. 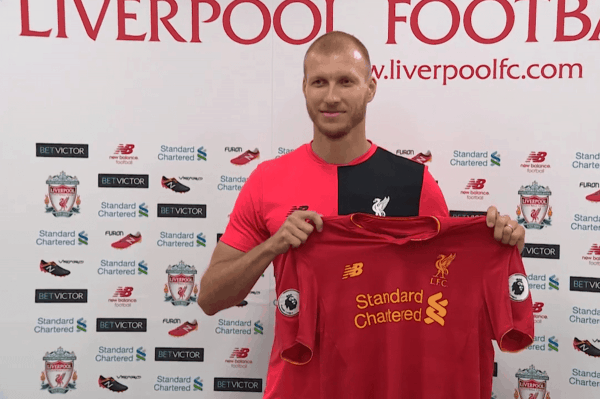 Klavan emerged as a surprise target for Liverpool, with the deal moving quickly, so who is he and what can we expect from him? I doubt many saw that coming including Klavan himself! He’s more or less been a cornerstone for Augsburg in the last couple of seasons in the Bundesliga as the Bavarian club established itself in the league. Augsburg struggled a bit last season mainly due to the extra matches from the Europa League, but the two seasons prior to that, they had been a pretty solid unit at the back and Klavan has to take some claim to that. Klavan fits the mould of the centre-back Klopp seems to like: he’s confident on the ball and isn’t afraid to step out with it when required; he’s physically strong and hard to beat in the air. It’s also worth noting the manner in which we lost that FA Cup replay against West Ham in the dying minutes to yet another set-piece last season. This surely still resonates in Klopp’s mind, given the type of manager he is. Hence, I believe this is why he wants someone with the qualities Klavan has, and especially for cup matches like that. 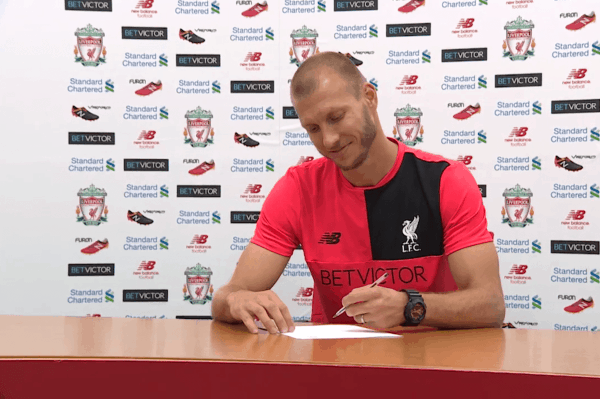 Following the departures of Kolo Toure and Martin Skrtel this summer, a £4.2 million deal to sign Klavan has been criticised by some supporters, but is he an upgrade on both? I think we’ve seen some criticism from this deal mainly because a number of fans feel it’s necessary to find a younger centre-back who will challenge for a place in the squad, rather than someone like Klavan, who is likely to play a bit part role. But I guess it’s strange we’re getting another left-sided centre-back too. Toure had a decent final season at the club, but was prone to an occasional error. Klavan should provide the same influence Toure had in the dressing room given time, he’s a leader and captains the Estonian side, so it seems a reasonable upgrade on that part. The majority of criticism towards Skrtel was probably because of his aggressive ‘go-to’ approach to defending, which often left him out of position—Klavan is a lot more sensible on that part and so should prevent us screaming out in anger more often! After four seasons in the Bundesliga, is Klavan likely to adjust to the demands of the Premier League? In terms of defending, I don’t think there’s a significant difference between the two leagues. The physical matches should suit Klavan more rather than coming up against teams with a counter-attacking approach, as he isn’t the quickest but he reads the game fairly well. But I’d be worried if he was left one-on-one with Jamie Vardy! Liverpool’s transfer business under Klopp so far has been largely positive, so is Klavan in line with the likes of Loris Karius, Joel Matip and Marko Grujic? We’ve upgraded on a number of positions and added some depth, although there’s still a few key areas I’m hoping we invest in. With Dejan Lovren, Mamadou Sakho and Joel Matip currently at the club, I’d expect Klavan to come in at fourth choice. To sign an international player who has played regularly in one of Europe’s top leagues for the last few seasons is definitely a good bit of business for that price—albeit a pretty random one! Dinesh Hardayal serves as writer and graphic designer for WhoScored, and you can follow him on Twitter here.